Fact Check: Has NASA asked SpaceX to not launch Falcon Heavy from LC-39A? KENNEDY SPACE CENTER, Fla. — A recent post on Reddit has suggested that SpaceX had been asked by NASA to not launch its Falcon Heavy rocket from the historic Launch Complex 39A at the space agency’s Kennedy Space Center in Florida. As is so often the case on the Internet, unconfirmed rumors can often spread misinformation that is then taken as fact. Is there any credibility to this rumor? SpaceFlight Insider reached out to both SpaceX and NASA about the veracity of this statement and received responses from both of these organizations suggesting that this rumor does not appear to be based on fact. NASA directed us to SpaceX as they are the manufacturer of the Falcon Heavy and SpaceX provided SpaceFlight Insider with the following: We are targeting no earlier than the end of 2017 for Falcon Heavy’s inaugural flight from Launch Complex 39A in Florida. Other sources, who requested anonymity, have told SpaceFlight Insider that SpaceX is planning to use LC-39A as a site to launch the Falcon Heavy from, with Canaveral’s Space Launch Complex 40 handling some launches of their highly successful Falcon 9 – all this, apparently, refutes the above statement. SpaceX also has launch facilities at Vandenberg Air Force Base in California and is having a launch site developed in Boca Chica, Texas. Over the past several years, NASA has developed a flexible and supportive working relationship with SpaceX. The company has won contracts to fly not only cargo but also crews to the International Space Station (ISS) under the space agency’s Commercial Resupply Services and Commercial Crew Programs. The NASA’s support of SpaceX hasn’t stopped there, with the agency helping the company develop PICA-X – a variant of NASA’s Phenolic Impregnated Carbon Ablator (PICA) heat shield – for SpaceX’s Dragon spacecraft which has carried out a number of cargo runs to (and from) the ISS. In April 2014, SpaceX signed a 20-year lease with NASA for use of Launch Complex 39A. The Hawthorne, California-based company then went on to renovate the pad for use with its Falcon family of launch vehicles. After the Sept. 1, 2016, explosion of a Falcon 9 rocket and its payload of the $85 million Amos-6 satellite at Cape Canaveral Air Force Station’s Space Launch Complex 40, SpaceX moved its launch operations to LC-39A and has, to date, sent 10 payloads to orbit from the historic launch site. your white-on-dark blue font is hard on the eyes and difficult to look at. please reverse! There’s an icon in the upper right (a circle that is half white & half the background color) – click on it and the site will switch to the more traditional theme. Mobile site has no such icon (for making the color scheme support visibility/comprehension by humans). Oh, and the comment-entry color scheme (that I’m typing on right now)is even more impossible to read). You’re correct, SFI is not designed to be viewed on mobile devices – it’s designed to be viewed on laptops. I’m a web designer, not a rocket scientist, but “mobile first” design has been the industry standard for years. Reading that this site is not designed to be read on a mobile device — in 2017 — is really surprising. 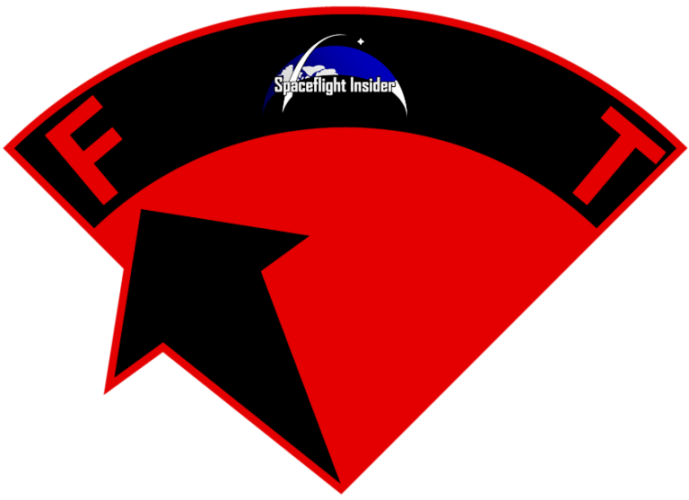 SpaceFlight Insider operates off a micro-budget and with a staff of loyal volunteers. We provide almost all, and in some cases, more than the industry standard. The fact our site even has the ability to switch from a dark to light background – sets us apart. We’re working to have the mobile version of our site have the same capabilities as this version. However, that will take time and we’ve opted to spend much of our resources on providing you, our reader, with the best content possible. This is one of the many things we’re currently working on and appreciate you visiting SpaceFlight Insider. Thanks for enlightening us about the mystery logo. I do agree with others that black on white is easier on the eyes, and perhaps should be the default. I’m using a high end 28″ desk top monitor and overall the site is beautiful. Keep up the good work. If anything Musk must have scared the bejesus out of NASA Kennedy when he quipped back in July that he hopes FH “does not cause pad damage”. Who can say with certainty what murmurings went on behind-the-scenes after that. Any first time launch of new hardware/ more complex configurations carries risks. NASA knows musk won’t Launch unless he is sure they did everything they. Could. He would never throw away money. There used to be a guard in the crystal section of the Philadelphia Museum of Art who told everyone that the Chinese were so poor they had to eat tree bark, which was true to the extent that they have a spice similar to cinnamon that, like the latter, is derived from tree bark. In short, never trust the low paid help. That isn’t fake news, it’s just unconfirmed rumor. Fake news comes from Nut or Washington post when they want to steer pubic opinion. There is no obvious intention to deceive by the tour guide. So this all comes back to the question – what is taking so long with regard to bringing SLC-40 back on-line ? Earlier this year, it was projected to be “sometime in August”. Hurricane Irma reportedly did NOT cause significant damage at KSC or Cape Canaveral. 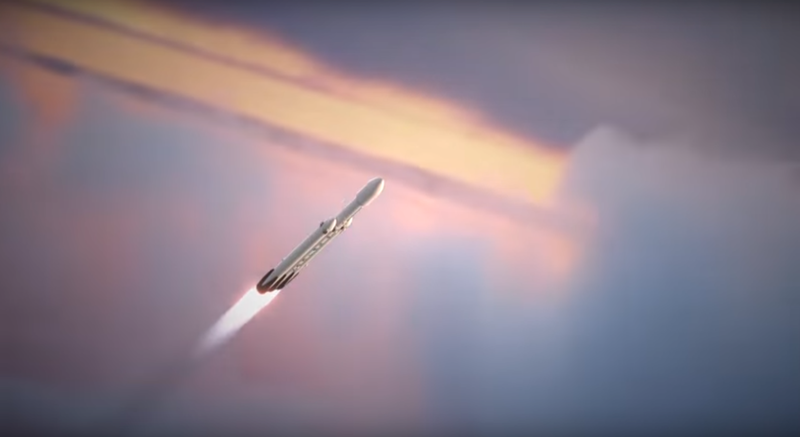 Not long ago, Musk predicted a Falcon Heavy flight in November 2017. CLEARLY, moving Falcon 9 to SLC-40 and then re-work of LC-39A has always been on that critical path…. What is the hold-up / when can we expect to see Falcon 9 launches moved over to SLC-40 ? Don’t get your hopes up. I’ve been following spaceflight since the NACA Pre-Mercury days. Here are some facts that nobody will want to believe. Ok snowflakes…here we go. Falcon 9 will never fly humans anywhere. It’s all marketing. There will most likely be another Falcon 9 ‘problem’ before Falcon Heavy launches this Fall/Winter now, thereby pushing the next best chance for a Falcon Heavy launch date into Spring 2018 maybe further. This in turn will also push the next chance for a human Dragon flight into next year also, probably later. Although SpaceX may launch a Falcon Heavy demo flight eventually it will never launch an actual payload. The truth is, SpaceX has so many reusable boosters that SpaceX doesn’t know what to do with all of them so a Falcon Heavy demo doesn’t put them out much and it’s a great PR STUNT. Kind of like the NASA Aries launch a few years ago that used a leftover 5 segment SRB and a fake payload. Also customers do not want to fly on them. Even with the discount the minscule savings isn’t worth the risk AND IT’S MORE EXPENSIVE TO INSURE YOUR PAYLOAD with American International Group, Munich Re, Swiss Re, and Allianz ON USED BOOSTERS SO SAVINGS ARE NEGATED. Dragon and the newest Falcon (full thrust) are nowhere near being human rated. Even if Dragon and the new Falcon FT was ready to go today, it would not be able to finish testing for human flight until sometime next year. I dont want to rain on a parade, just stating reality. The current Falcon 9 will continue to be the SpaceX moneymaker for the forseable future since SpaceX has a huge backlog when the last Falcon 9 explosion that took out a pad and the Facebook satellite. The problem with the superchilled Helium composite tanks has never been fully explained or solved for NASA to be anywhere near comfortable to human-rate let alone putting people on those things but SpaceX has to be profitable to survive like any other business. And business is business and marketing is marketing. Elon sells it great with promises to Mars on th IT, Interplanetary Transport and ‘BFR’ but the truth is, the IT is still a gleam in Elons eye. It’s not even on the drawing board and the logistics of building the IT are a nightmare. Talk is free. Marking is cheaper than producing. So don’t expect to see manned spaceflight from SpaceX anytime soon. Or NASA for that matter. When SpaceX has another problem this summer/FALL, everything will be pushed up until at least next year especially the Falcon Heavy which will only fly a demo (maybe). NASA will have its one Orion capsule for 8 billion and the SLS which ‘might’ launch uncrewed now not until 2020 (See NASAs’ Website) because of technical problems with new stir-weld technology techniques on the new tanks. Don’t let these companies B.S. you OR pull the wool over your eyes. Save this and mark my words. No Falcon Heavy launch this year. Another Falcon 9 Problem or explosion this summer/FALL. And no human flight of Dragon capsule. Nothing is even near ready for human flights. This is why NADA I mean NASA just extended their contact with Russia to hitch a ride on their Proton rockets, Thank you. There is always the chance Blue Origin might catch up with SpaceX and NASA… Oh. I am not a Dr. I just play one on tv. Well, it seems that SpaceX isn’t having much trouble selling rides on the recovered “flight proven” boosters. Given the backlog on their launch manifest, more and more will be reused, allowing the company to reduce the production rate of the Falcon 9 FT, and concentrate on their Block 5 upgrades. Not much has been published re: price of insurance for these recycled rockets, but after a number of successes, the price to insure will drop drastically. Crew Dragon is planned to launch from LC-39a,which has a tower due to be fitted with a “white room” for crew loading. (SpaceX COULD theoretically decide to launch Crew Dragon from SLC-40, but there is no tower there). Falcon Heavy really only has one customer to date (I think), and could be a white elephant. Meanwhile, NASA (as Musk has noted) has funded over a dozen ISS re-supply missions using [cargo} Dragon, and funded the Crew Dragon development. NASA is a MAJOR SpaceX customer and has considerable sway. NASA may not want to jeopardize future Crew Dragon schedule by a tower-damaging RUD on pad LC-39a. A Falcon heavy with 27 engines lighting at once may evoke memories of the Soviet N-1 difficulties (30 engines lighting at once, resulting in 4 RUD’s in 4 launch attempts – one utterly catastrophic). Was Elon the first person to use the term RUD? Does it really mean rapid unscheduled disassembly? Or was RUD a common term to describe a rocket exploding on or near the pad?